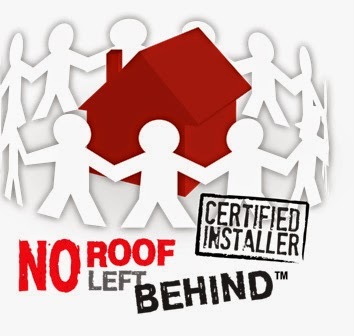 Balken Roofing today announced it is now accepting nominations for its No Roof Left Behind Campaign. This nationwide program provides free roofs to local community members in need. Nominations are being accepted at wwww.NoRoofLeftBehind.com now through March 23rd. The process is simple. Anyone can participate and nominate a friend, neighbor or family member in need of a new roof. From the submissions four finalists will be chosen for the final online public voting campaign. The four finalists’ stories and photos will be displayed on Balken Roofing’s No Roof Left Behind homepage. From April 1- April 17th the public will able to vote for the finalist they feel is most deserving. The winner will be revealed online on April 24th. Nominees must own the home they are living in and be a resident of one of the above counties. Also, the free roof recipient must be current on his/her mortgage payments. Nominees will be accepted until March 23rd. A team of local volunteers will review all the nominees and four will be selected as finalists.